Journey from Russia’s capital city of Moscow to the heart of Siberia Novosibirsk and onto the industrial center of Novokuznetsk. Siberia will not disappoint. The scenery along the way is some of the most picturesque that Russia has to offer. See the unspoiled wilderness of the largest landmass on earth. 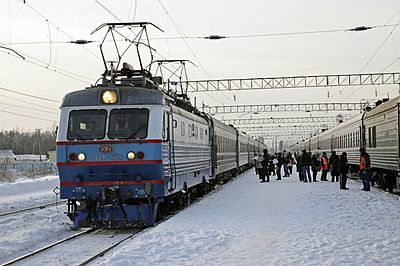 Train #117/118 operates on Moscow to Novokuznetsk route once in two days. The trip takes 2 days and 14 hours and covers 3640 km. 2nd and 3rd class tickets are available on this train. In Superior 2nd class meals are offered and gender-sensitive compartments are available.